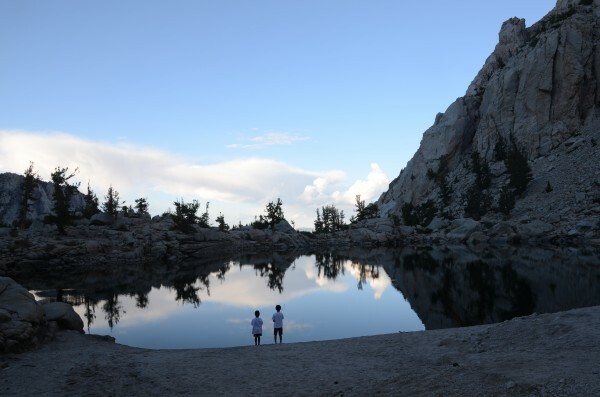 My mom and dad both love to be outdoors, and aside from the forced-marches-I-mean-"hikes" I recall with horror from when I was very young, they had me outside at every opportunity. The closest thing to climbing my Dad ever attempted was Mt. Katahdin, incl. Knife's Edge. I was literally dragged across -- it defied common sense to me at the time. But we did go camping and hiking frequently, as well as downhill skiing, windsurfing, sailing, canoeing (ugh!) and fishing, and probably a whole host of other adventures I'm not able to recall @ the moment. My birth parents were both climbers, which probably explains why I spent a large portion of my childhood up in trees and endlessly swinging around on monkey bars. ") The muppet is following suit, attempting to climb everything in our apartment. She draws pictures of rocks to be climbed on a daily basis. I'm not sure whether to hope she inherited the adrenaline junkie genes...though life wouldn't be the same without them for me. None of my relatives were into climbing. I come from a poor immigrant family. I was only the 2nd generation that had enough disposable time and income to pursue a fantasy such as climbing. wow this thread has been full of touching and poignant stories. A tip of the hat to moms and dads out there who showed their kids the wide open places. I'm taking my seven year old for an alpine trip this weekend and he is soooo stoked. Starting at 2yo, I take each kid for a trip, and haven't missed for 13 years. When they are two, its just a walk down a trail and some tent camping. Each year it grows and by five or six they carry their own pack. Now, at 15, my daughter is saying things like...."How hard is the Swiss Arete on Mt. Sill Dad?" My 7 year old, Bek, just wants to know how much GU a kid can eat in one day. Is six packs too many dad? We will shop at REI tonight (A highlight) and head out Friday for a peak above Courtright. 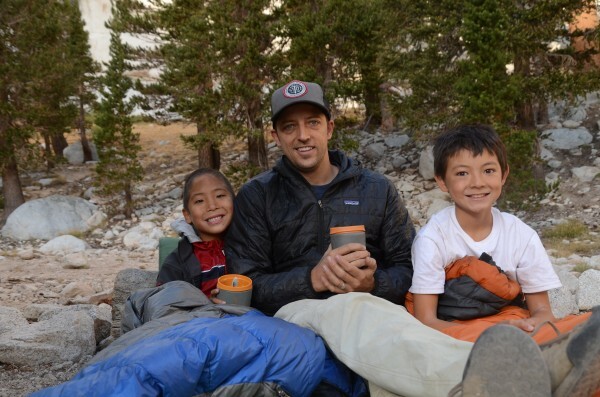 Coffee and sleepin' bag time with your boys at ten thousand feet is about as good as it gets.